Matthias Wrede (born in 1963) studied economics at the University of Heidelberg. After graduating in 1989, he accepted a position as a research assistant at the University of Bamberg, where he obtained his doctoral degree in 1993 and his habilitation in 1998. After holding visiting professorships at the University of Essen and RWTH Aachen University, he worked as a professor of public economics at RWTH Aachen University from 2002 to 2007. From 2007 to 2010, he held the Chair of Public Economics at the University of Marburg. Matthias Wrede has spent research periods at Oklahoma State University, USA, the ifo Institute in Munich, University of Alberta, Canada, Barcelona Institute of Economics, Spain, University of Exeter, UK, and University of Tokyo, Japan. He is a CESifo research fellow and a member of the public economics council, the regional science council, and the social policy council of Verein für Socialpolitik (German Economic Association). 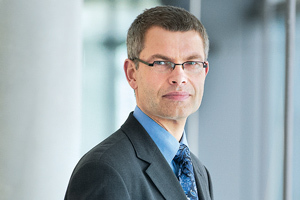 Matthias Wrede has held the Chair of Economics and Social Policy at Friedrich-Alexander-Universität Erlangen-Nürnberg (FAU) since 2010. His research focuses on regional and urban economics, public economics, and social policy. The goal of the project “Taxation, Social Norms, and Compliance: Lessons for Institution Design” is to foster research on individual and social determinants of tax compliance. In particular, the project aims to investigate the role of institutions and of social and cultural norms for tax compliance as well as its behavioral foundations. With regard to formal institutions, the project considers the design of the tax system as well the role of tax administration and of tax accounting. Further, it also addresses social and cultural norms, which is crucial given that tax compliance depends on norms like fairness as well as on the perceptions of other taxpayers’ adherence to these norms. Finally, the project also includes a specific behavioral component that explores the preferences and the decision process of the individual taxpayer.